This property PRICE AND AVAILABILITY is only available through our agents. We reply instantly during business hours 9am to 5pm. Located at Waiohuli Beach Hale in South Kihei. This 1 bedroom/1bath Condo has full ocean front views from the living room/dining room and kitchen area. This property is secluded,with private lanai, only steps from the beach. Watch whales and beautiful sunsets from your Lanai. The kitchen has been redecorated with Maple cabinets and Beach Sand granite counters. The bathrooms and bedrooms have also been redecorated. Everything you need to enjoy a tropical vacation! Aloha and welcome to Maui Man Condo Rentals! We have beautiful vacation rentals all over Maui, from Kapalua to Makena. 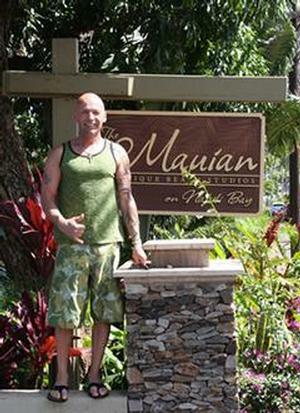 Maui Man has been helping clients create amazing vacations for over 20 years and counting! Thank you for visiting our page! We continue to add units to our site. If you don't see the one your looking for, please contact us. Mahalo! Randy's very first trip to Maui in 1980 brought him to The Mauian in Napili, where he immediately fell in love with the island. A true Hawaiian at heart, Randy had to be dragged, kicking and screaming, onto the plane back to Canada where he immediately began planning his next trip. Over the next few years of vacationing in Maui, Randy formed many friendships with the locals on the island, and what began as a favor to help a friend rent out his condo has grown into the well-established company that Maui Man Condo Rentals is today. Randy's passion and love of the island is what sets him apart, and it only takes one conversation with him to grasp that. When asked what the best thing about running his company is, Randy answered, "Being able to help people have the same amazing experience I did on my first trip... to help them create their own memories, and send them somewhere that some people only dream of visiting." Sarah shares Randy's for the business, and loves being able to apply her background in hospitality and recreation. 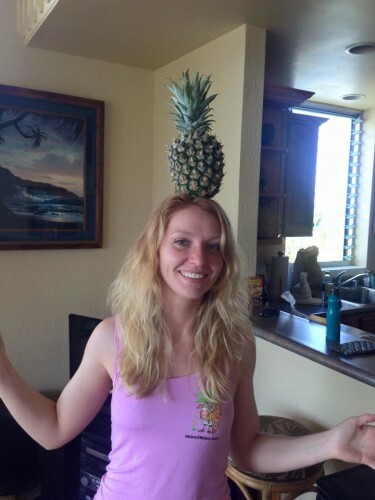 Believe it or not, Sarah had never been to Maui until meeting Randy, but knew that Hawaii was a very special place after visiting Waikiki in 2010. She is excited to be part of this growing company, and knows it will be successful because of the great team they have formed. Find your perfect Maui condo rental with more than 200 vacation rentals from Kihei to Kaanapali. "The best rates on Maui" - Serving our loyal clients for over 20 years! © 2017 MauiMan Condo Rentals All Rights Reserved.